Many folks have been asking questions and speculating about the incidents that have taken place at Mizzou University over the last week or so, so I thought it would be nice to share some of the facts that I know about the situation. If you have read my previous article about my recent trip to Ferguson, you know that Missouri was one of the last states to abolish slavery here in the United States. Additionally, racism at Mizzou University is not new. If you speak with from most black alum from the institution, you will hear this. As college students, we pay tens of thousands of dollars each year for a top-of-the line, diverse, innovative and transformative education from the best professors and teachers that our nation has to offer. We also pay for many programs and resources, whether it be access to recreation centers, student centers, or writing and math centers. Most importantly, though, we pay for a safe and inclusive environment that fosters our learning. Despite all of these expectations, more often than not, we find that after the checks have been cashed, loans dispersed, and tuition bills paid, we are not getting what we paid for. As black students at American universities, we have been exploited, unsupported, underrepresented, brutalized and not prioritized within our institutions for far too long. Universities use our “diversity” to fill quotas and decorate flyers, but once we have made it into our schools, we are often forgotten about and many of us fall through the cracks. This black college experience is not limited to the academic shortfalls and hurdles that we face as we work towards our degrees, as the social aspect of college can be even more burdensome. At many universities and colleges across our nation we see black students being discriminated against in Greek life, social organizations and clubs, and all throughout campuses. This has always been the norm- which is something important to note here. 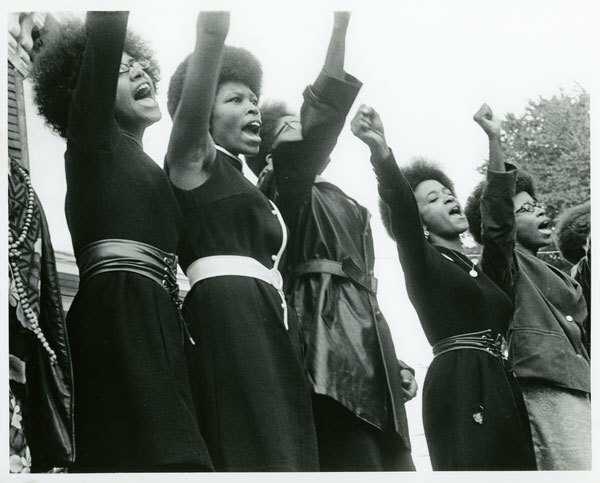 Black students have been organizing and advocating for themselves since as early as 1919 when they were first admitted into higher education institutions. We can recall the work of well-known activists such as Stokely Carmichael (Kwame Ture), Angela Davis, and Cornel West when talking about the impact of college campuses on social movements, as universities are hubs of innovative thought, youth, and action. It only makes sense that in the #blacklivesmatter era, we are seeing more and more black students rise up and resist systems of oppression that have stood firm for too long. What does this have to do with current events? On Nov. 2, Jonathan Butler, a grad student at Mizzou University began a hunger strike that he did not intend to end until either Tim Wolfe was no longer the president of the university, or his life was over. The target of this action was the Board of Chancellors, similar to the Board of Trustees or Visitors at other universities, who held the power to fire the president. His hunger strike went on for 8 days, and during that time, the Mizzou football team and coaches also went on strike. This was a revolutionary feat in terms of student activism, as it was a time when we saw both student athletes and student organizers come together for the movement. Financially speaking, the football strike hit the university where it hurts, in the pockets. As a result of national attention and prospective financial burden, Tim Wolfe resigned from his position on Monday. Following pressure from deans and students, Robert Loftin, chancellor of the Columbia campus, resigned from his position effective at the end of this academic year. Although there are many demands that are still yet to be met and we must keep pushing forward, its important to celebrate the victories along the way, because often we don’t take the time to do that. This is a moment that where we can clearly see and understand what exactly black student power is, and more importantly, what it is capable of. “Yik Yak” suspect has been apprehended, but the struggle continues. Black students at Mizzou are still risking their lives to go to class or not going for fear of assault. There are black men who are escorting students to class, and the buddy system has been advised. Shame on Mizzou University for allowing this type of intolerable, oppressive environment to persist. They are not fulfilling their duty to provide a conformable learning community for all of their students. I send my well wishes and stand in solidarity with the students of Mizzou University, and with those students all over the nation (the world even) who are struggling for the liberation of black lives both on and off-campus. Thank you for your commitment to our future generations.